Set at the foothills of Mt. 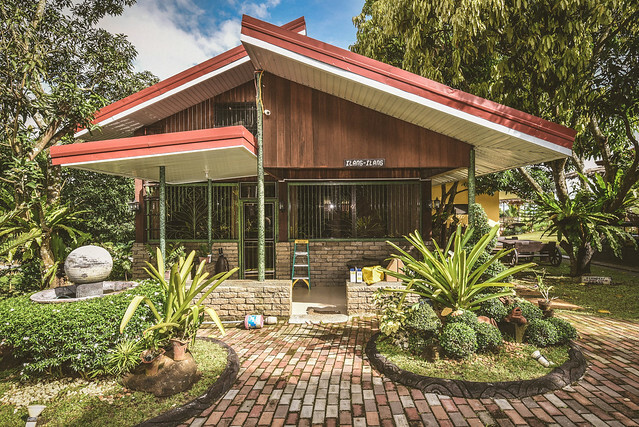 Arayat in Magalang, Pampanga, Nauvoo Farm Resort is one of the best farm resorts in the area that provides easy access to Banal na Bundok. It currently offers 5 types of accommodation options of carefully crafted native farm houses to complete the Farmville experience. They have the Sampaguita Villa, which is good for 4 people (3,600 pesos per night). It has two double-sized beds, 32’ LED TV, a mini fridge, and of course, air-conditioning. Cadena de Amor, on the other hand, could easily fit in 12 people (10,000 pesos per night). 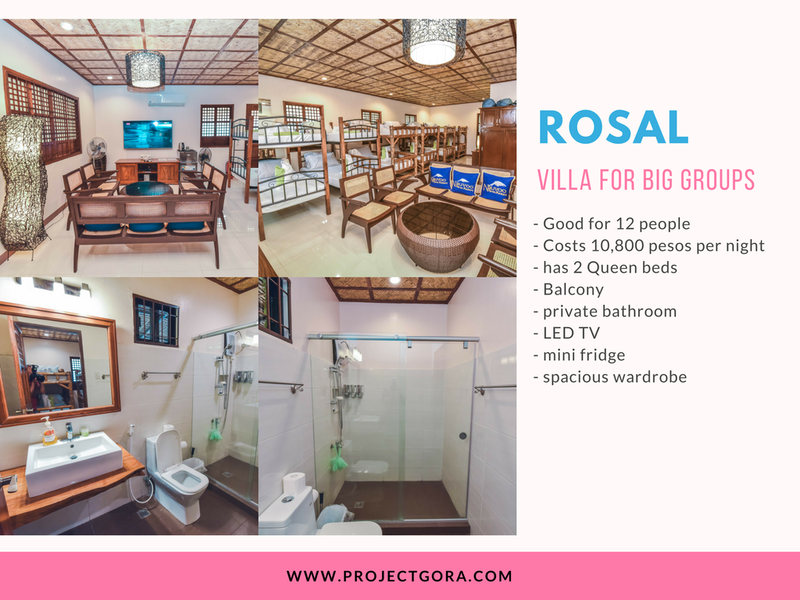 Our group was assigned in Rosal, one of the two bigger villas in the farm. Upon entering, the gigantic flatscreen LED TV easily caught my attention. It has 4K capability and premium cable channels, which tempted me to just stay in the room all day. Seriously. 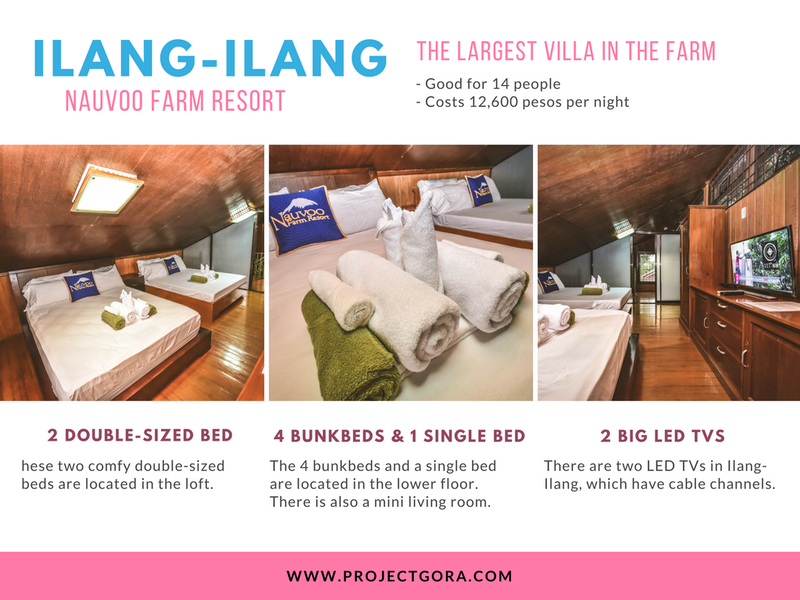 The largest villa in the farm is Ilang- Ilang, which is perfect for big groups (maximum of 14 people & 12,600 pesos per night). 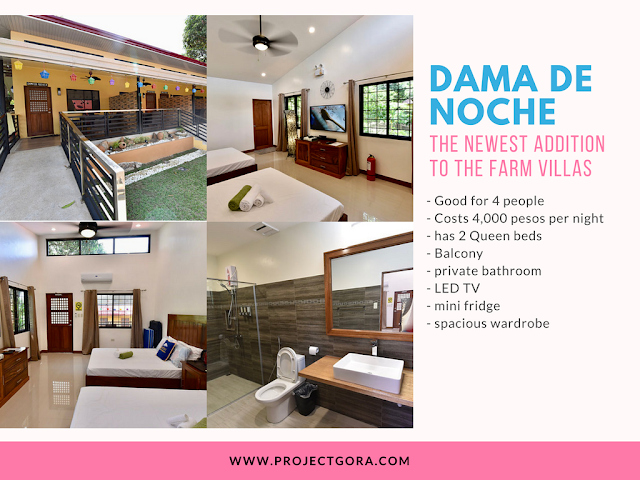 It has two double-sized beds and a 32’ LED TV in the loft, 4 bunkbeds and a single bed, a mini fridge, spacious wardrobe, mini living room and 42” LED TV in the lower floor, air-conditioning, and plenty of outlets for your gadgets. 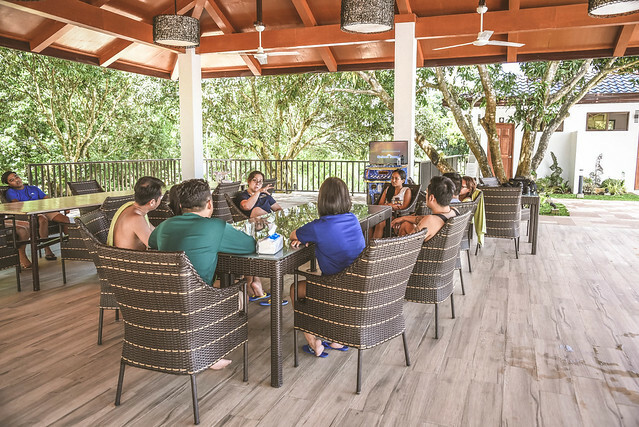 Since the resort is new to the business, they currently offer limited amenities and services. But fret not! Nauvoo still offers basic array of facilities and services to make your stay relaxing and fun. For those who want to cool down, the resort has the thing for you - a luxurious swimming pool with a spectacular view of Mt. Arayat. 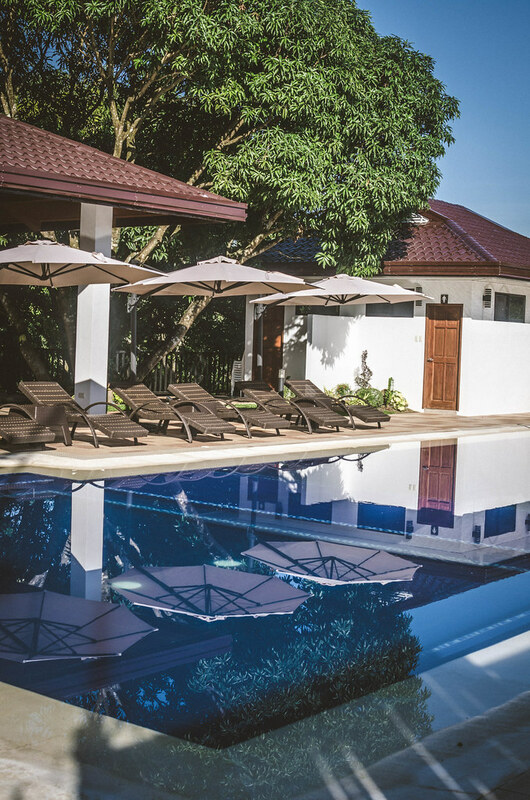 At the side of the pool are comfortable lounge chairs and umbrellas for guests’ comfort. 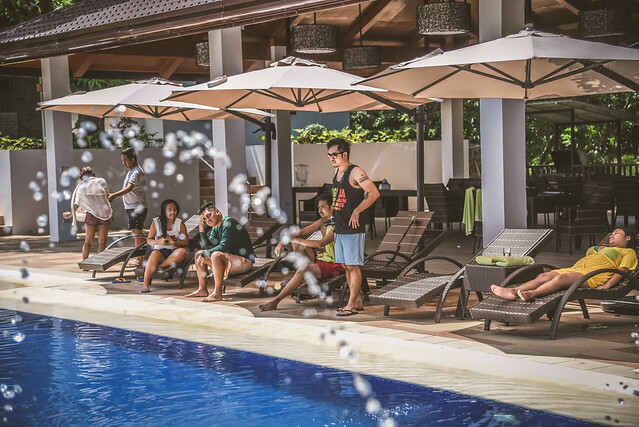 Pool service is also available from the bar, which offers a delightful selection of refreshments. 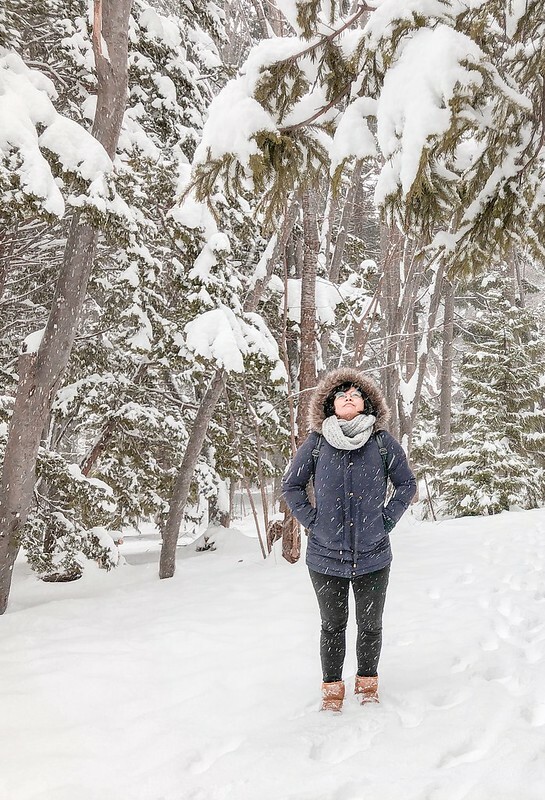 A stay at Nauvoo Farm Resort will give you a peaceful retreat no matter what time of the year. If you are stressed out in the metro, you can stay for the weekend in the farm, where you can just laze around, sip on fruit juices, not worry about anything you have to do for the day. If you're a weekend warrior and you would like to squeeze in a few tourist attractions while you're in the farm, then you may visit the historic Heliograph Towers of Magalang. These two military communication towers were built by the Spaniards during the late 19th century, which was used to send signals to the soldiers of an impending attack. The other historic attractions you can visit are the Magalang Municipal Hall and San Bartolome Parish Church. If you're a Roman Catholic, you may reflect and pray during the Holy Week at the “Banal na Bundok” (Holy Mountain), where the 14 life-sized statues of the Stations of the Cross are built. 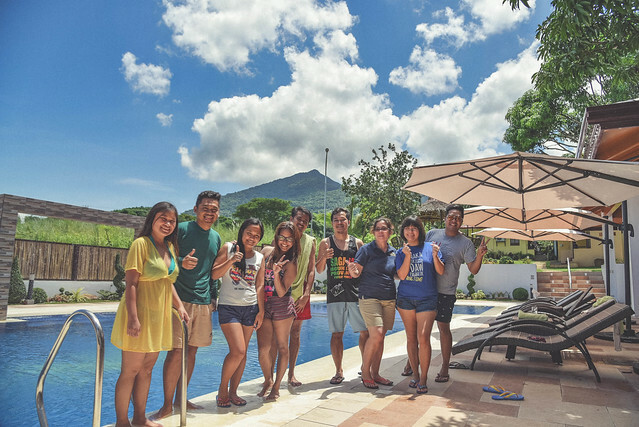 This mountain is not only popular during Mahal na Araw, but also a year-round destination for tourists, especially hikers. If you visit the farm resort during the holy week, or anytime between March to June, then you'll probably witness Mango Harvesting. Thank you so much Tito Bing, Tita Lulu and the staff of Nauvoo for making us feel at home. I have no doubt I'll come back for a second time. As always, thank you so much Franco Ayson of Lagaw Travelogue for making this trip possible! And thanks to my co-Pinoy Travel Bloggers who participated in this trip. You guys made this trip one for the books! - Board a bus (Five Star Bus) bound for Marquee Mall or Dagupan via Marquee Mall from Cubao. One way fare is 129 pesos and travel time is 1 hour. - Get off at Marquee Mall and board a jeppney bound for Magalang. One way fare is 20 pesos and travel time is 20 to 30 minutes. 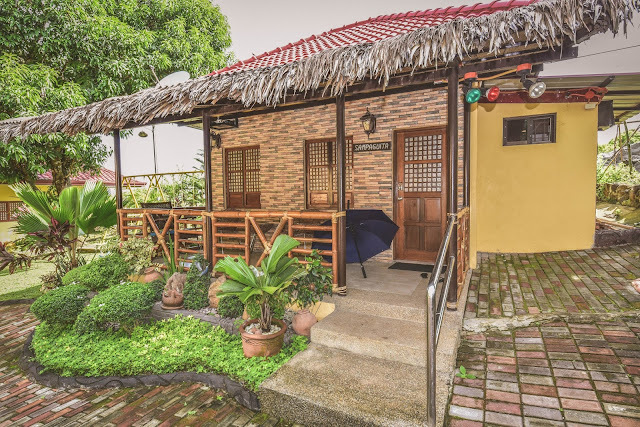 - Get off at Jollibbe at the town proper and take a tricycle to Orchard Village in Brgy. Ayala. Special fare is 100 pesos and travel time is 15 minutes. 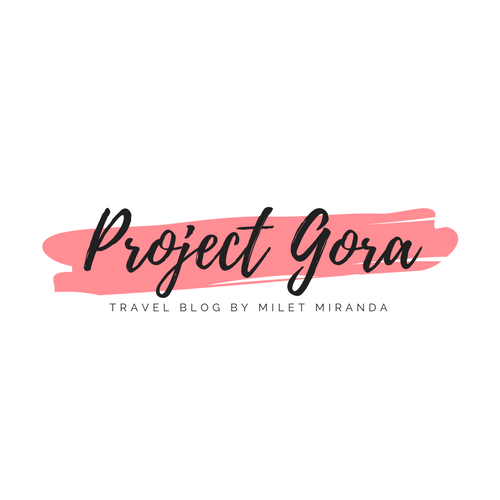 I started my blog as a place for me to share my experiences in traveling the Philippines, Asia and beyond. I was able to check off most of the things listed in my bucket list, to visit places I never imagine I could see one day and to document my travels. I experienced so much, this post is not enough to tell you all about it. 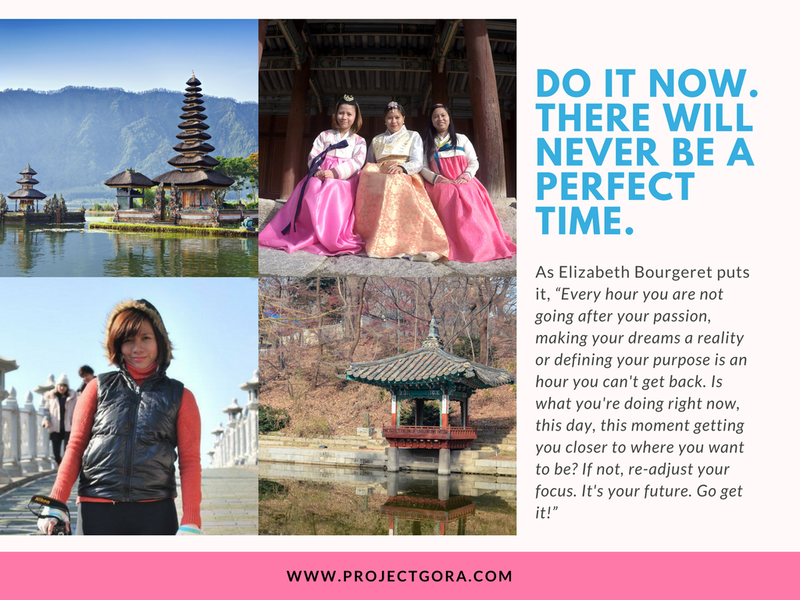 But let me share with you the top 5 life lessons I learned in the past 5 years, all of which helped me to be better, although it certainly didn't feel that way most of the time. Lol! If you keep delaying your plans to do something, chances are you won't be able to achieve it. That 'someday' can be NEVER. If a job isn't something you want to do, drop it. 2. 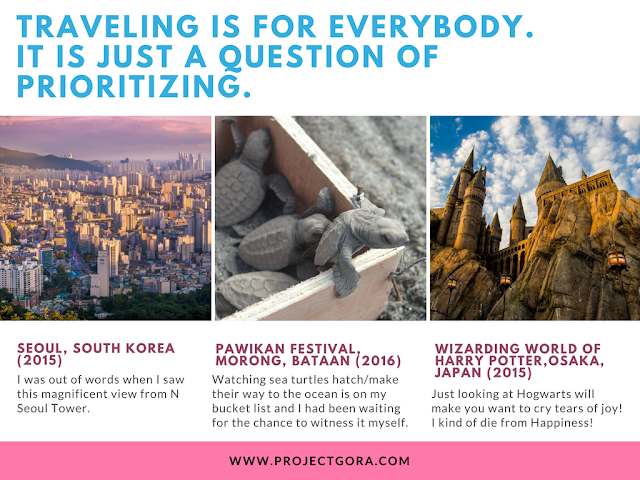 Traveling is for everybody. People think I am rich or I have rich parents filling my bank account regularly. To be honest, both my parents are no longer working, so basically I am the breadwinner of the family. After I paid for our monthly utilities, medicines, grocery, and insurance, I set aside some money for my travels. I also do some freelance work online if I have an upcoming out of country trip. Wherever I go, the Philippines will always be my home. 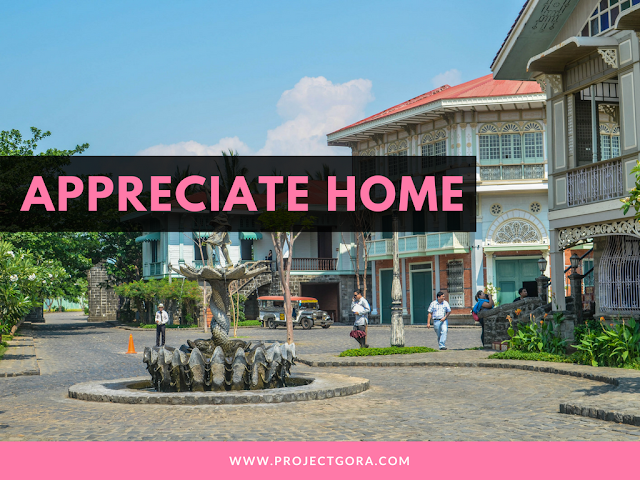 While traveling other countries for the past 5 years, I learned how to appreciate home. When I first went out of country, it did not take too long for me to miss home, my mother’s cooking, my father’s paglalambing, my dogs, and the cheap and dirty jeepneys. Although I easily get homesick, I still love the feeling of being away because my loved ones will be there to greet me with open arms when I come home. I can’t afford to be sick. That’s what I always say when I get too lazy to walk, take multivitamins or eat healthy food. Although I can’t claim to be super healthy, I try my best to boost my immune system, especially when I have an upcoming trip. The first time I got sick while travelling was in Bali, Indonesia and this was by far the worst sickness I've ever had while travelling. I contracted Traveller’s Diarrhea, which is a stomach and intestinal infection. I always believed that street food is a great way to explore local culture and cuisine, so I did not bother checking how the food was made. Born and raised in a third world country, I was pretty confident with my immune system. Lol! Thank God I got sick on our last day, so it did not ruin our travel plans. It would also cost a lot of money if I’m going to be hospitalized in a foreign country. 5. 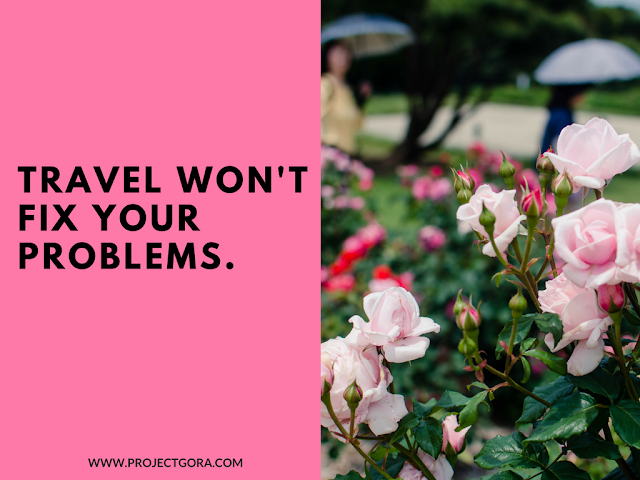 Travel won't fix your problems. Yes, don’t think that life away from home is easier and that changing your location will magically fix your problems. Although travel cannot solve your personal issues, you can use it to escape. For me, escape is not really a bad thing because it can be an enlightening experience. It gives you a unique kind of perspective, which in turn allows self-examination. 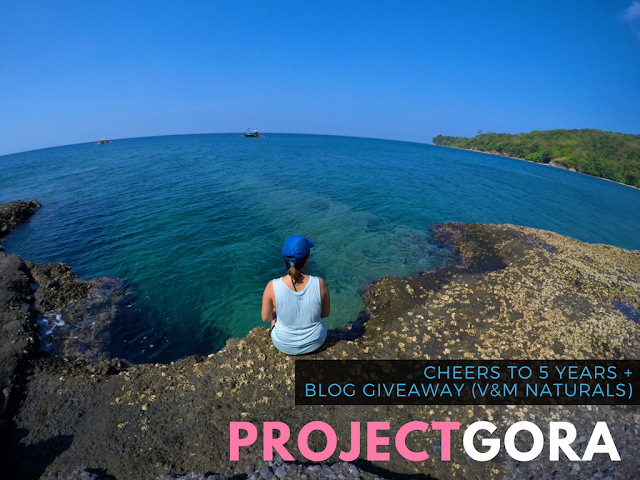 BTW, this post is not just the blog’s anniversary celebration, but an opportunity to wholeheartedly thank you, my dear readers. I’m launching a blog giveaway for the very first time in partnership with my favorite local skincare brand, V&M Naturals. The reason this giveaway took me some time to launch is because it was important to me to find the best way to show my huge appreciation and gratitude to you, whether you accompanied me on this journey over the last 5 years or if you were just recently introduced to my blog. Only one winner will get 5,000 peso worth of V&M Naturals Products and an overnight staycation for two with free breakfast at the B Hotel Quezon City. 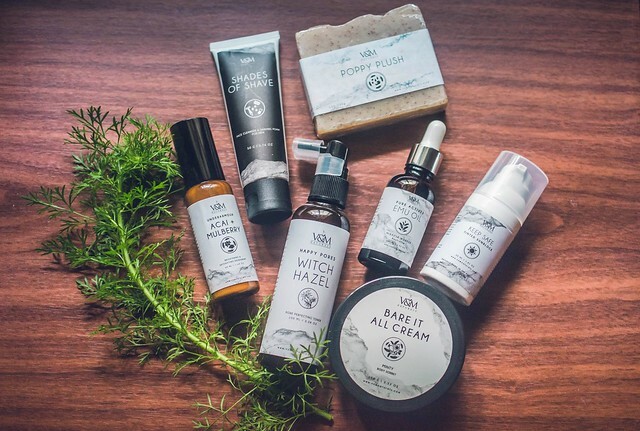 What’s in the amazing V&M Naturals skincare kit? Poppy Plush (Emu Oil Based) Soap - this is my first love ever since I've been hooked on organic/handmade artisanal soaps. This soap repairs and hydrates skin with pure emu oil and poppy seeds, among other natural healers. It's just so great, I can't even! Keep Safe Tinted Sunblock - a lightweight sunscreen that leaves no sticky feeling! This has replaced my Holika Holika BB cream, because honestly this tinted sunscreen covers all the basics I need. Fully Refined Emu Oil - this is my HG natural oil. SRSLY. Many people, including myself, are raving about this product because of so many great reasons! If you are not familiar with Emu Oil, it's natural healing comes from the Emu bird, only found in Australia. It’s been used as a safe and effective treatment for various skin conditions. Even the Australian Aborigines used this since time immemorial! Amazing, no? Witch Hazel Toner - this is another personal favorite (aside from the Guava and Cucumber Toner). It's a pore-minimizing facial toner that won’t disturb your natural moisture balance and is perfect for oily, combination, and acne-prone skin. As it’s a natural anti-inflammatory and antioxidant, it’s able to battle free radicals to protect against skin damage. Bare It All Cream (Minty) - this hand and body lotion delicately soothes, brightens and moisturizes skin. It is enriched with Emu Oil, Shea Butter, Mango Butter, Papaya Fruit Extracts and Peppermint Essential Oil, that effectively targets roughness, dark patches, and chicken skin. It doesn't leave a sticky feeling and the scent is to die for! 1. The contest is open to Philippine residents and will run for three weeks starting from October 9 (12 AM) to 30 (12 AM), 2017. The lucky winner will be announced on October 31st through my social media pages (both Facebook and Instagram). 2. 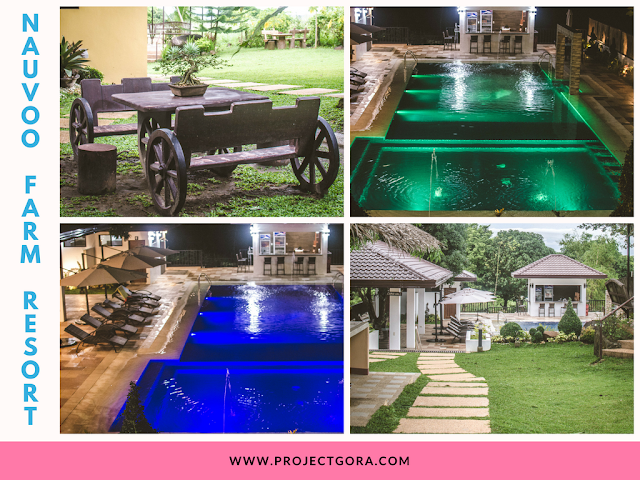 The staycation prize is a personal gift from me. If the winner is not from Metro Manila, I can offer an alternative accommodation near his/her location at equal or lesser value.